The current travails of Etisalat Nigeria raise the very realistic prospect of the Nigerian mobile market reverting to three large national operators. This is the same number as when mobile services were launched in the country in 2001 and compares with a peak of nine operators in 2005. What a roller coaster. Nigeria is Africa's biggest economy. With over 183 million people on the continent's west coast and a GDP of over $400 billion, the country has always been attractive for international investors looking to provide services there. In 2001, three operators introduced the first mobile services: MTN, Econet Wireless Nigeria (now Airtel) and the state-owned Mtel. Today, MTN is the dominant operator in terms of connections with 62 million, followed by Glo with 38 million, Airtel with 34 million and Etisalat with 23 million. Nigeria has been the crown jewel of MTN's portfolio in Africa, despite the government imposing a large regulatory fine on the operator in 2016. At one point, it accounted for more than half of group earnings before interest, tax, depreciation and amortisation (EBITDA). Number-two operator Glo, owned by the entrepreneur Mike Adenuga, has remained privately owned and profitable. Airtel has been through two changes of ownership and has had to award compensation to the original shareholder Econet over a long-standing shareholder dispute. Fourth operator Etisalat launched in 2008 using the Etisalat brand, despite the operator from the United Arab Emirates (UAE) owning a minority stake in the business. 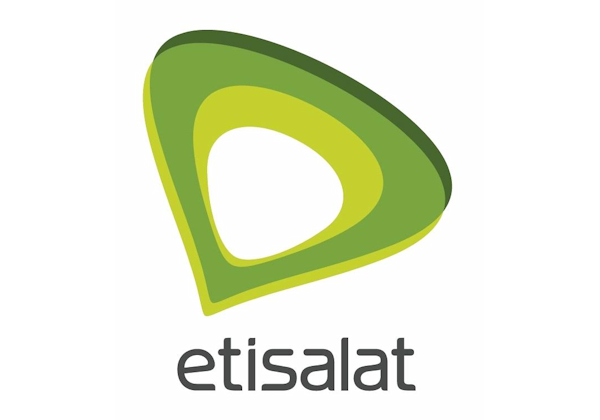 In addition to the big three operators, Etisalat was competing with four licensed CDMA operators and state-owned Mtel. Over time, the market has consolidated through acquisitions or business closures. South Africa's Telkom made a big splash in 2009 when it acquired CDMA operator Multi-Links, only to retreat within three years and exit the country. Etisalat's case is intriguing, because it's a classic fourth operator, rocking up and down on the EBITDA "see-saw". In most markets around the world, the three leading operators are EBITDA-positive, the fourth operator may or may not be and the fifth and smaller providers rarely are. Etisalat has been struggling to service over $1.2 billion in bank loans. Following a non-payment earlier in 2017, there have been reports about protracted negotiations between the banks and shareholders. The chairman, chief financial officer and CEO have all resigned, UAE shareholders have pulled out and a consortium of banks has reportedly assumed operational control and is seeking investors in the business. Orange and Vodafone have been mooted as candidates. It's hard to envisage either operator entering Nigeria to compete against three such large incumbent rivals. Orange has been disappointed with its investments in Uganda and Kenya, which have similar market structures, as has Vodafone in Ghana. Nigeria looks even more daunting. In the event that no new investment arrives, the consortium has two main choices. Firstly, it could bring in a new management team and convert part or all of the current debt to equity and try to generate enough value to ensure the banks are repaid. Secondly, it could decide to close down the business and sell off all the assets separately, including 23 million connections, to cover as much of the outstanding debt as possible. One of the problems with this option is that the towers, which have a good deal of value, are already pledged to tower operator IHS. The consortium has a busy second half of 2017. In the worst-case scenario, Etisalat disappears from Nigeria, leaving three large national operators once again. If this happens, we expect consolidation to be spectacular — a similar fate to that of the Indian market (see India: Halcyon Days Ahead in a Four-Operator Market). Those operators that remain should stay comfortably profitable. Those that exit will feel a little bruised, to say the least. CCS Insight plans to produce a more comprehensive report on the mobile industry in Nigeria later in 2017.